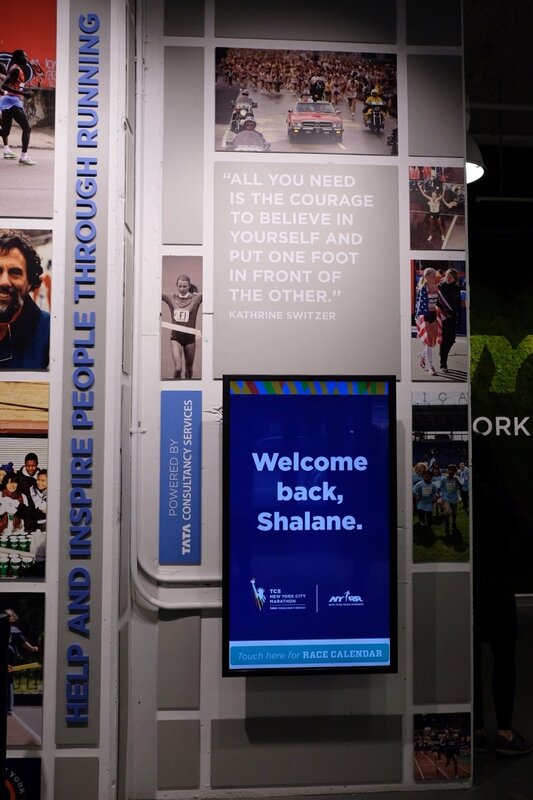 Shalane Flanagan received the first-ever New York Road Runners Pro Performer of the Year Award in a ceremony and celebration on December 11 at the NYRR RUNCENTER featuring the NB Run Hub. 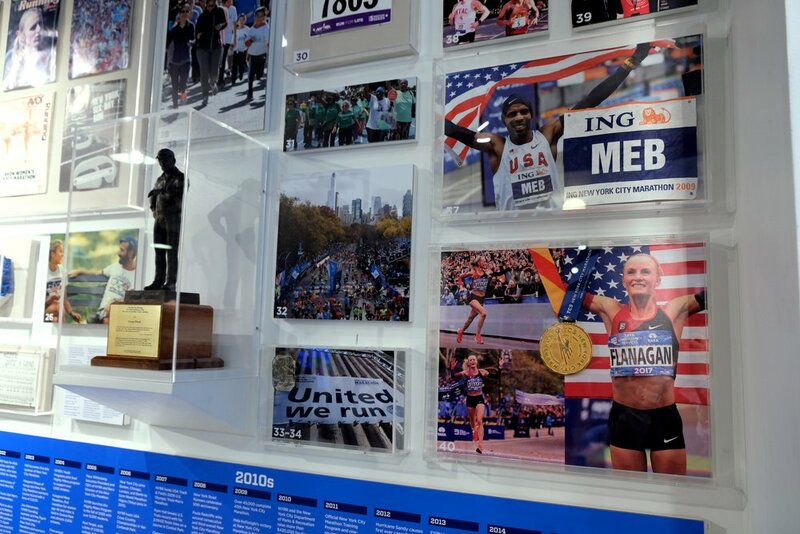 Flanagan was in New York City for the first time since November 5, when she became the first American winner in the women’s open division at the New York City Marathon since 1977. She crossed the finish line in 2:26:53, the second-fastest time by a U.S. woman in New York City Marathon history. Flanagan is also an NYRR Team for Kids Ambassador who served as a race buddy in August at the Percy Sutton Harlem 5K Run with NYRR Run for the Future, a program that develops running and leadership skills in New York City high school girls. Flanagan was selected as the 2017 New York Road Runners Pro Performer of the Year in voting by members of the media and the public, who could choose one of 10 professional athlete finalists who had competed in NYRR races over the past year. Standing beside Michael Capiraso, president and CEO of NYRR, and Peter Ciaccia, president of events for NYRR and race director of the TCS New York City Marathon, Flanagan accepted the award from Mackenzie Morrison, the NYRR Run for the Future student who ran alongside Flanagan at the Percy Sutton Harlem 5K. “We think that Shalane had two secret weapons on November 5: She’s a Team for Kids Ambassador and she ran the Percy Sutton Harlem 5K in August with Run for the Future,” said Capiraso. Flanagan called her victory on November 5 “one of the most meaningful moments of my life,” and said she’d had a “happiness hangover” as a result of the celebrations she’s had around the country. That in turn inspired Flanagan, who recounted that Morrison sprinted to the 5K finish line. “She gave it everything,” Flanagan said. Dec 9 Running to Honor "The Father of Long-Distance Running"